This system makes it possible to sell multiple subscriptions, change recurring totals and billing schedule, and allow customers to switch subscriptions. However, there is a catch: PayPal must enable Reference Transaction support on your PayPal account in order to use this. How do I get Reference Transactions Enabled with PayPal? To request that PayPal turn on Reference Transactions, call your local PayPal Support Help Center. Find the phone number at Contact. Tell PayPal that you are specifically calling so a PayPal Specialist can enable Reference Transactions on your account. They may try to help you set up recurring payments with a button — that is not what you want. They need to transfer you to a specialist who will ask you for your PayPal account information (email address), and then tell you that they filed a ticket, and you will hear back from PayPal via email on whether Reference Transactions have been enabled or not. You can also contact PayPal via email. Go to the Email Contact Form. Choose sub-topic: Changing/Updating Account Information. Copy and paste the message below, inserting your PayPal email address and name. Could you please enable Reference Transactions on my PayPal account (email: paypal@example.com)? I need this feature to sell recurring subscription products via J2Store. In an effort to reduce support, PayPal may send you a response from an auto-response message with some links to documentation. If we haven’t answered your question, please reply to this email and our team will answer you as soon as possible. 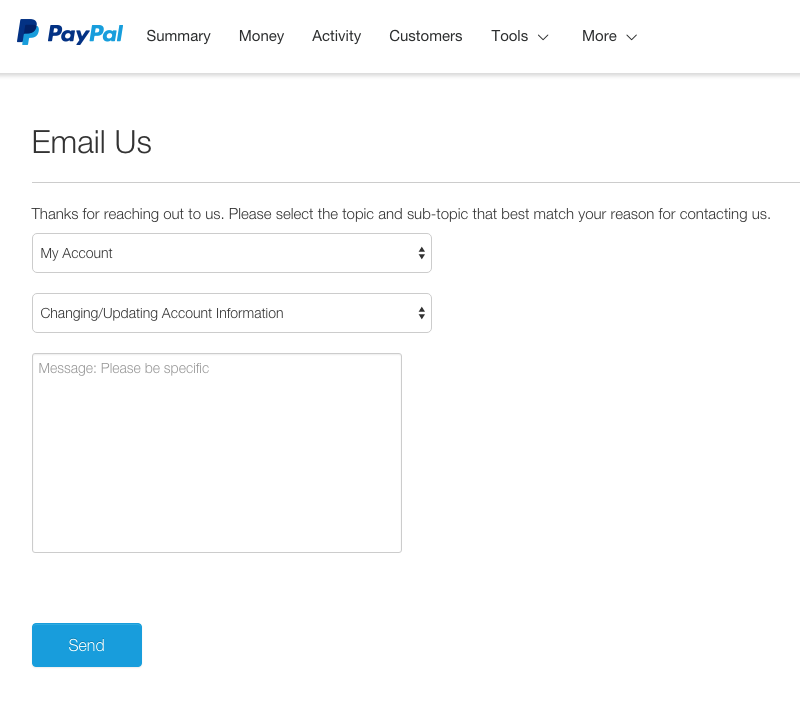 You also need to respond to the auto-response before your support ticket is submitted to PayPal. Will My Account Qualify for Reference Transactions? PayPal does have a set a requirements that need to be met before they enable support for Reference Transactions on your account. Unfortunately, PayPal does not publish these requirements and based on anecdotes from customers, the requirements can be different for different businesses. Show the signup flow for customers in regards to Reference Transactions. Proof that you will show clear terms and conditions for customers in regards to Reference Transactions and how to cancel once they sign up. Written statement as to why you need Reference Transactions and how you will use it for your business. In terms of revenue forecasts, we have had reports that UK based PayPal accounts may require minimum forecast of £6,000 month or more revenue.